Hi everyone! How have you all been? Today I have an exciting polish to share with all of you. It’s from an up and coming collection called “Serendipity” from Superchic Lacquer!! Indie Nail polishes have really taken the majority of attention in the nail polish world due to their unique quality and texture – they certainly created their own niche for colours / textures / finishes that the main stream have been denying nail enthusiasts. I shall be posting pictures of this entire collection on Instagram in the coming days along with an accompanying blog post that goes into detail eg. finish, # of coats and over all thoughts of each polish in the this collection. This collection will be available for purchase on March 10th, 2015 on her Etsy site! 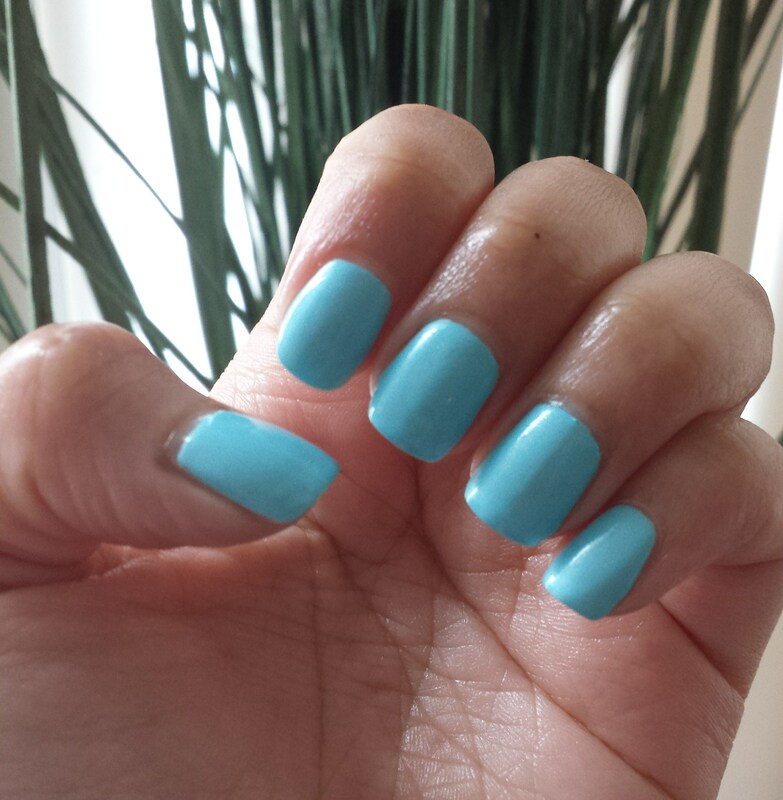 Superchic Lacquer ‘Crystal Blue Persuasion’ – is described as a heavenly ethereal crystal blue. 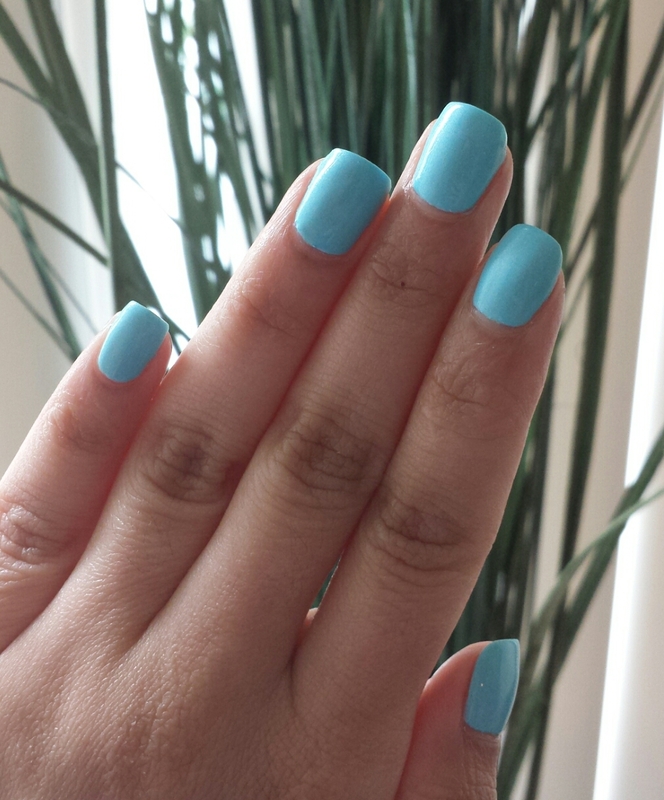 This is a bright neon pastel sky blue that dries down to a matte finish with a low sheen cream finish. The refined sheen finish is truly memorizing on the nails – depending on the how the light hits the polish it glows off the nails!!! I have to say, this is such a welcomed burst of colour for a Spring polish I completely adore it! This polish would lend itself very well in the summer months as well; super versatile! This was opaque on 2 coats but there were a few bald spots due to my polish application therefore I used 3 coats in total however I was VERY impressed with the dry time being 10 to 15 minutes. It dried to a matte finish however I applied a top coat for the swatch you are viewing. There is a Neon Dewy Day Glow Linear Holo Top Coat that accompanies this collection – I shall be swatching this one last to give you a comparison of the polish with and without this top coat. I found SuperChic after Jess, Hollie, you and Lindsey all raved about Into the Woods and from the first polishes on I have been a devoted fan of these magical polishes. I have found with the beautiful formula, the shorter brush stem that allows a clumsy newbie like me ultimate control, and the way the polishes develop more depth and beauty with each coat I find myself wanting to apply more layers to see where they will take me, if that makes sense! I never mind having to do three coats of SuperChic and this polish taught me about the reason why some polishes do need more layers. Today,day 5 of a 17 day #getluckywithmadlove challenge, of a halla lot of green and gold lol , I am wearing the ethereal Never Grow Up from Jenn- and I know I will have a good day. Besides, I started it with coffee and your blog so how can I not?